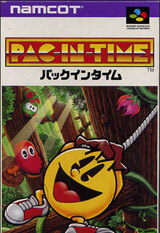 Pac In Time for Super Nintendo is an action/adventure game starring Pacman. There are more than 50 levels for you to tackle, and they'll take you from the depths of the ocean to the dangers of the jungle and beyond. 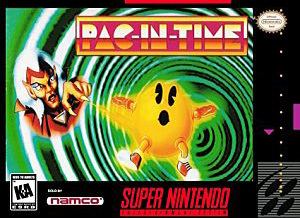 There are plenty of power pellets to eat, ghosts to chase, and enemies to smack (Pac-Man has a hammer in this version), and if you've got the determination you might just get a showdown with the Ghost Witch.